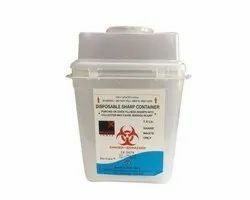 These sharp containers are rigid, leak-proof, puncture resistant, sealed and clearly marked with the bio-hazard symbol. The upper and lower units snap together, permanently locking with air tight seal between the base and covers. Walls are puncture resistant meeting international Standards. 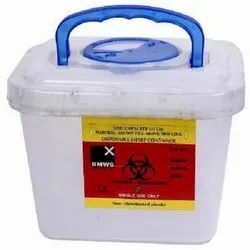 · Disposable Puncture Proof Container. · Solid and Stable Shape. · Air tight even If turned upside down. 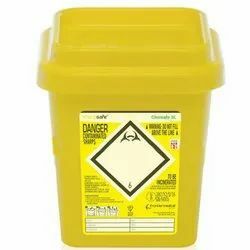 · Made in High Density Polypropylene Plastic. · No emission of harmful gases during incineration process. 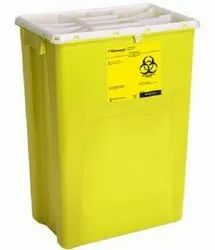 · Easy to carry with handle. · Lightweight and Perfect finish. 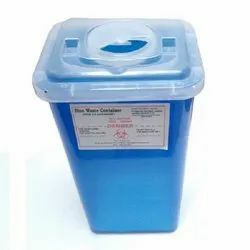 We produce all kinds of Sharps waste disposal containers in various sizes, shapes and capacity of 200 ml to 60 Litre. 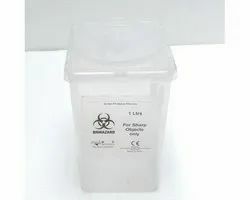 These sharp containers are rigid, leak-proof, puncture proof, sealed and clearly marked with the bio-hazard symbol. The upper and lower units snap together, permanently locking with air tight seal between the base and covers. Walls are puncture resistant meeting international Standards. 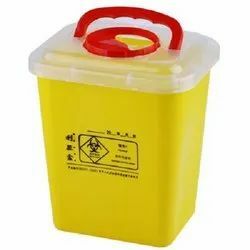 Main goal in designing and making of this product is safety for the patients, doctors and Healthcare workers. 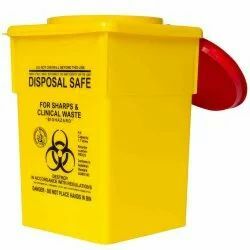 All our sharps containers are designed for safe use, effectively blocking hand access from discarded sharps. 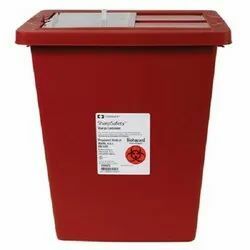 Mainly of use at diagnostic labs and hospitals where high volume of sharp waste is generated. 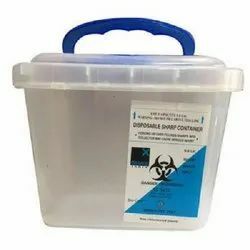 These containers are manufactured under the strict supervision of experienced team-members who vigilantly monitor the complete production process so as to ensure their flawlessness. 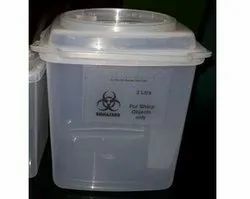 Also, we offer customization facility of these containers.